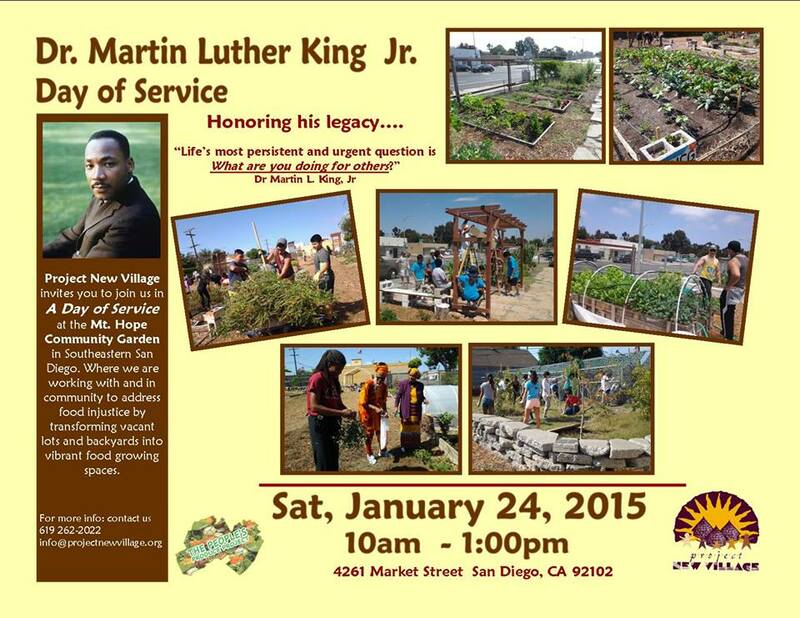 Project New Village invites you to join us in A Day of Service at Mt. 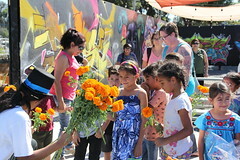 Hope Community Garden in Southeastern San Diego where we are working with and in community to address food injustice by transforming vacant lots and backyards into vibrant food growing spaces. Waitlist spots may become available. Call 619.264.0144 for more information. Join us as we pay tribute to Dr. Martin Luther King, Jr.’s legacy for the thirtieth year by honoring those striving to make a positive impact in our communities. The Dr. Martin Luther King, Jr.Human Dignity Award is given each year to a person who most exemplifies the work and character of its namesake Dr. King. Throughout history, we know that Dr. King will be forever attached to the civil rights movement, but those who study the life and legacy of this American icon know that he was much more. On November 2, 1983, President Ronald Reagan signed a bill creating a federal holiday to honor Dr. King. In January 1986, as our nation officially observed Martin Luther King Jr. Day for the first time, the Jackie Robinson Family YMCA hosted our first YMCA of San Diego County breakfast. January 17, 2000 was the first time Martin Luther King Jr. Day was officially observed in all fifty US states. In 2011, a memorial honoring Dr. King was completed and dedicated in October at the National Mall in Washington, D.C., by the Martin Luther King Jr. National Memorial Project Foundation. The official address of the monument, 1964 Independence Avenue, S.W., commemorates the year the Civil Rights Act of 1964 became law. 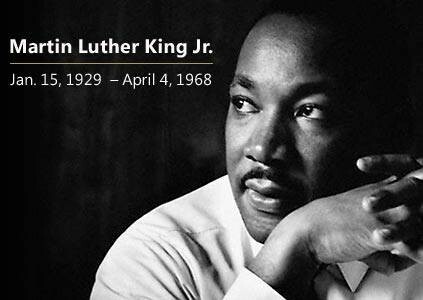 The YMCA celebrates a long connection with Dr. King’s life. During the civil rights movement, meetings were held at YMCA’s. In honor of Dr. Martin Luther King, Jr.’s life and work, I pledge to do everything that I can to make America and the world a place where equality and justice, and freedom and peace, will grow and flourish. On Martin Luther King, Jr. Day, I commit myself to Living the Dream by loving, not hating, showing understanding, not anger, making peace, not war, and helping freedom exist for all people everywhere in the world. Volunteer at the Jackie Robinson Family YMCA or learn more about how you can serve others where you live, work or pray. Everyone is welcome to attend. The event will be hosted by Dean Hall of Style and Men. We have performing on program: San Diego All Star Cheer Group; Dameon Bryant, Motivational speaker; Kendrick Dial of Lyrical Groove; The Gamble; Praise In Motion Mime Group; Comedy by EB4Real; Singing by Khalil Nash; and Junkyard Dance Crew. We will also have $25 RAFFLE TICKETS for a chance to WIN great prizes (2014 Kawasaki Ninja Street Bike, 50’ HTC Big Screen TV, $350 Gas Card, and other prizes). Donation to enter this event is $5.00, and can be purchased via the Foundation’s website (www.patonthebackfoundation.org). August 28 marks the 50th Anniversary of Dr. Martin Luther King, Jr.’s March on Washington where he delivered his historic “I Have a Dream” speech – a watershed moment in our nation’s history. 50 years later, what is the significance of the American Dream? We invite you to join us on Wednesday, August 28, 2013 at the Jacobs Center to rally and celebrate Economic Empowerment, Civil Rights and the American Dream. We believe you would be an important partner in our August 28th celebration and look forward to seeing you there! The American Dream Rally will feature a rotation of 6 speakers. Our confirmed speakers currently include Entreprenuer Roberto Monaco and Community Leader Alex Montoya. Each speaker will be given the floor for a total of no more than 5 minutes to expound on the American Dream, Civil Rights or Economic Empowerment. Have you heard of TED Talks? This will follow a similar format. All proceeds in excess of cost will go directly to benefit Reality Changers – specifically for a “Dreamer Scholarship.” This is a zero profit event. After the rotation of speakers, the rally celebration will conclude with networking, connecting and mixing. Your voice is important in this historic rally celebration. Join us and do good in advancing the American Dream, Civil Rights and Economic Empowerment. On Saturday, Jan. 19 from 11 a.m. to 5 p.m. San Diegans will gather along the Martin Luther King Jr. Promenade for the 15th Annual San Diego Sheila Hardin Multicultural Festival. 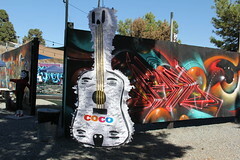 The free family event held in downtown along East Harbor Boulevard between First and Fifth avenues, showcases San Diego’s rich cultural diversity and traditional heritage through live music, dance performances, storytelling, children’s activities and a wide range of food and retail vendors. In addition, this year’s event will incorporate a variety of cultural and learning institutions including the USS Midway Museum, Neighborhood House Association and San Diego Community College. To find out how you can participate or to showcase your products and services, visit: sdmulticultural.com or email: multictural2013@gmail.com. The 3rd Annual Dr. Martin Luther King, Jr. Family Reunion Celebration and Sportsfest is slated for Saturday, Jan. 12 from 9 a.m. to 5 p.m. at the MLK Park, 6401 Skyline Drive. The day includes basketball, football and tennis activities as well as a kids zone with games and activities, musical performances by bands and choirs, and free health and social services information booths. For more information on volunteering or participating, please contact Casper Zamudio at: (619) 527-3415. 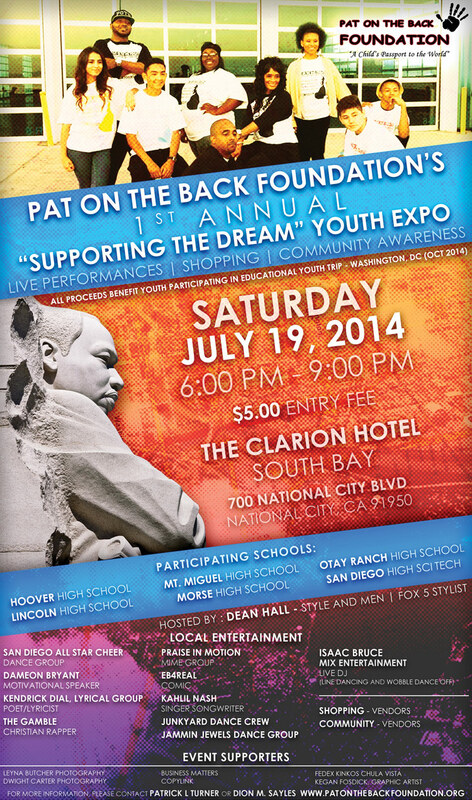 Mark your calendar for the 18th Annual Rev. Dr. Martin Luther King, Jr. Community Breakfast being held at 7 a.m. on Monday, January 21 at the Jacobs Center, 404 S. Euclid. Tickets are now on sale for the breakfast presented by UAAMAC with special guest Joanne Bland. For more information, call: (619) 264-1213. YMCA of San Diego County will host its annual Dr. Martin Luther King, Jr. Human Dignity Award Breakfast featuring guest speaker Rev. Dr. Otis Moss, Jr. on Friday, Jan. 18 from 7 to 9:30 a.m. at the Town & Country Hotel. For information and tickets, call: (619) 264-0144 or online: jackierobinson.ymca.org. Hear and experience live re-enactments of four of Dr. Martin Luther King’s greatest speeches at a “Night with the King” presented by Our Living Heritage on Saturday, Jan. 19 at 5 p.m. at the Educational Cultural Complex, 4343 Ocean View Blvd. For tickets and more information, contact: (619) 277-6228 or visit online: ssb_nightwiththeking.eventbrite.com. The 33rd Annual Martin Luther King Day Parade will be held at 2 p.m. on Sunday, Jan. 20 along Harbor Drive in downtown San Diego. Coordinated by the Zeta Sigma Lambda Chapter of Alpha Phi Alpha, the oldest Black fraternity in the U.S., the parade will include floats, high school bands, drill teams, colleges, fraternities, churches and other youth and community organizations. For more information or to participate, please contact Bob Matthews at: (619) 264-0542. 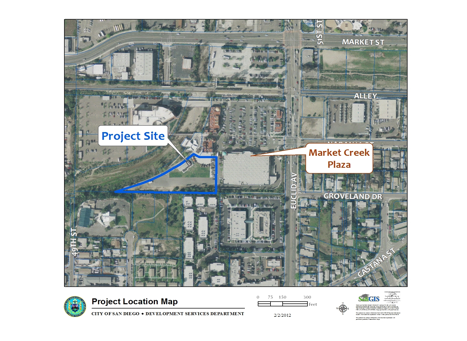 The City of San Diego, in conjunction with the Jacob’s Center for Neighborhood Innovation, would like to invite you to participate in a Public Workshop for a pocket park at the Village at Market Creek. This pocket park is envisioned to provide passive recreation for all ages. Community involvement in this project is crucial to ensuring a successful plan that meets the needs of your community. Input from the workshop will help design the General Development Plan for this future pocket park. Find out what's going on in The Village at Market Creek! This is YOUR community blog! Let others know what's going on in your groups and organizations. Email us your community-related flyers, bulletins, and announcements to Blog@WhatsNewInTheVillage.com. All submissions subject to approval.